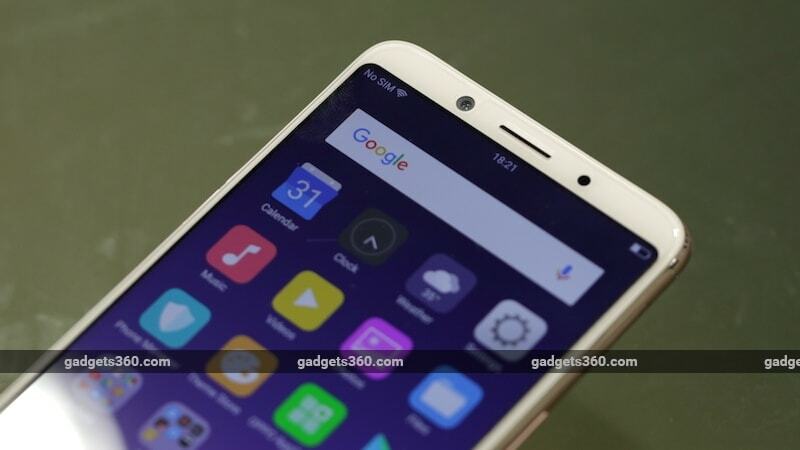 Oppo F5 is the latest in a (fast) growing line of affordable smartphones offering taller, borderless screens, a trend that has broken the design monotony the smartphone industry has been stuck with for the past few years. In fact, Oppo F5 makes use of the new design trend to squeeze a 6-inch screen with FHD+ resolution. And courtesy the 18:9 aspect ratio, the Oppo phone is almost the same size as regular 5.5-inch phones, being taller but not wider. We got to spend some time with this new model prior to its official launch, and here are our Oppo F5 first impressions. The screen has thin borders, and Oppo has managed to keep the overall weight down at 152 grams which are both good for gripping the phone. The power and volume buttons are well within reach as well. There's a 20-megapixel selfie camera above the screen, along with the earpiece and sensors. The bottom front is blank, as Oppo uses on-screen buttons for navigation. Oppo F5's back is curved along the edges, which makes the phone comfortable to hold. Our Gold review unit had silver antenna lines running across the top and the bottom of the phone which did look nice. The primary camera has a 16-megapixel sensor with an f/1.8 aperture. It protrudes a little but has a metal ring around it which should help keep the lens from getting scratched. Oppo has placed the loudspeaker, Micro-USB port and 3.5mm headphone socket at the bottom, while the secondary microphone is positioned at the top. Inside the phone is a non-removable 3200mAh battery. Powering the phone is a MediaTek MT6763T which is an octa-core processor. 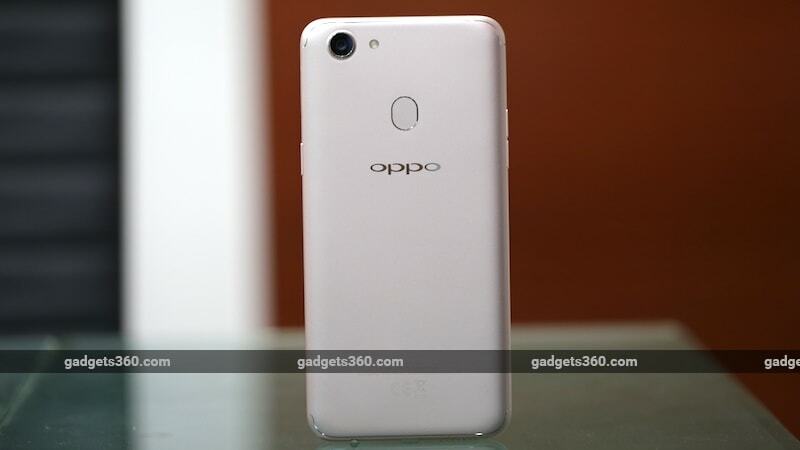 The base model has 4GB of RAM and 32GB of storage, but Oppo is also launching a variant with 6GB of RAM at a higher price. The F5 is a Dual SIM device and has two Nano-SIM slots plus a dedicated microSD card slot. Since this is not a hybrid design, you can expand storage without sacrificing the second SIM. In terms of software, the F5 runs Android 7.1.1 with its ColorOS V3.2 on top. The UI is a little different than stock Android but if you have used an Oppo phone in the past it shouldn’t be an issue. We did not face any lag or stutter while using the phone, and it felt quite peppy with normal use. Oppo also boasts of its AI-powered Beauty Technology in the camera app that enhances selfies taken with the front-facing 20-megapixel shooter. We did use it for a bit and we liked the results it delivered. After spending some time with the Oppo F5 we can say that this phone delivers a decent experience.Still, it faces plenty of competition. Your decision will come down to whether you prioritise looks and selfies over all else. Stay tuned to Gadgets 360 for our full review of the Oppo F5. product Oppo F5, priced in India at Rs. 19,990, is yet another mid-range handset with bezel-less design and comes with 18:9 aspect ratio. Here are our Oppo F5 first impressions.